A fire destroyed a Pick-n-Pull shop in northwest Edmonton Sunday morning. 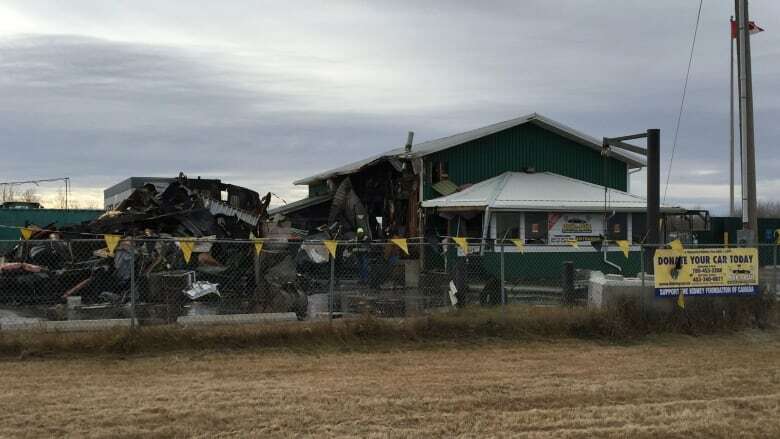 Fire crews were called to the business — which buys and sells recycled auto parts, salvage vehicles and scrap metal — at around 3:30 a.m.
A fire destroyed a Pick-n-Pull shop in northwest Edmonton Sunday morning. Fire crews were called to the business — which buys and sells recycled auto parts, salvage vehicles and scrap metal — at around 3:30 a.m. They arrived to find the building at 186th Street and 118A Avenue engulfed in flames. Around 40 firefighters fought the fire, which was declared under control by 7:45 a.m. Firefighters remained on scene Sunday morning dousing hot spots. No one was injured in the fire, and the cause remains under investigation.